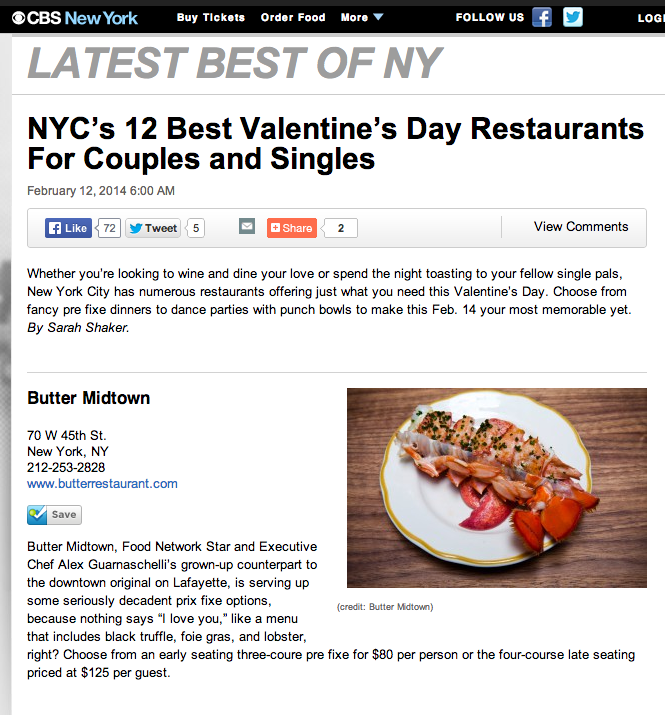 Whether you're looking to wine and dine your love or spend the night toasting to your fellow single pals, New York City has numerous restaurants offering just what you need this Valentine’s Day. Choose from fancy pre fixe dinners to dance parties with punch bowls to make this Feb. 14 your most memorable yet. Want to impress your date this Valentine’s Day? 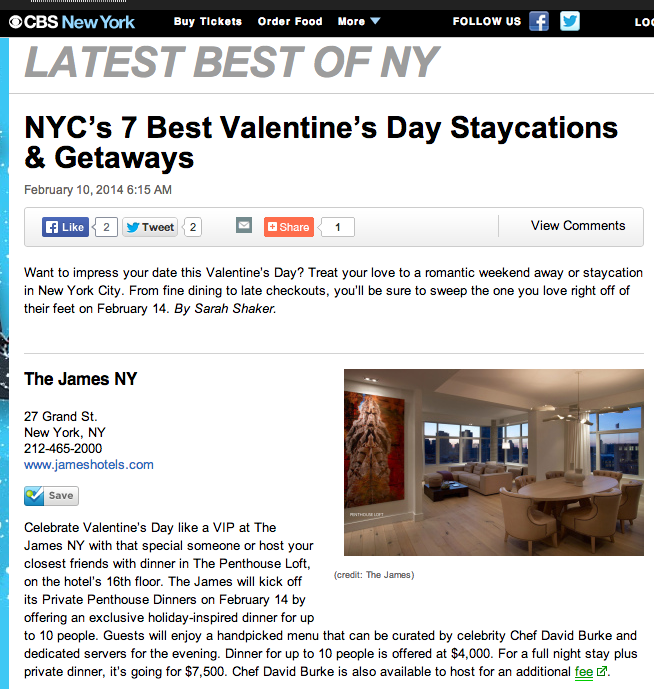 Treat your love to a romantic weekend away or staycation in New York City. From fine dining to late checkouts, you’ll be sure to sweep the one you love right off of their feet on February 14. I may not be a fashion expert, but I do know food. Heading to Lincoln Center as a fashion industry VIP or just looking to schmooze with all of the beautiful people this week? 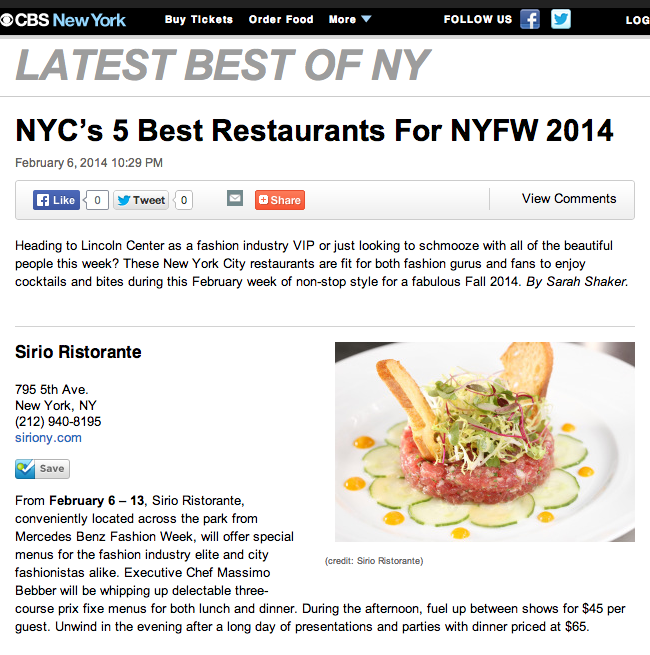 These New York City restaurants are fit for both fashion gurus and fans to enjoy cocktails and bites during this February week of non-stop style for a fabulous Fall 2014.